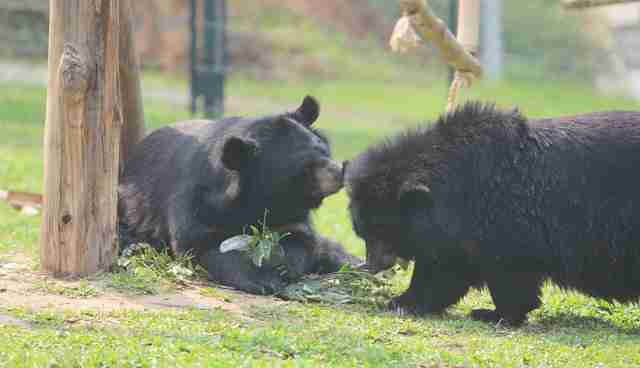 Moon bear Mara has grown up at Animals Asia's Vietnam sanctuary having arrived as a cub in 2007. Saved from traffickers as they tried to smuggle her over the border from Laos to Vietnam in the under-compartment of a bus, Mara was no doubt destined for a bear bile farm in Vietnam or China. Her parents killed so that she could be taken from the wild, she would have been put in a cage, and never released for the rest of her life. 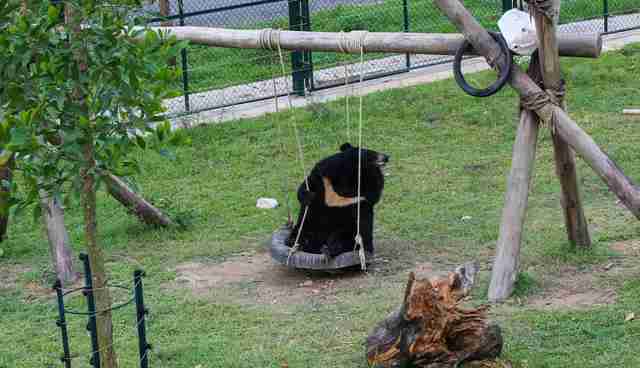 During up to 30 years of captivity she would be fed unsuitable food and know not one moment of joy. And all so that the bile could be extracted from her gall bladder for use in traditional medicine. It's a fate shared by over 10,000 bears in China's still legal bear bile industry, while more than a thousand more languish on illegal farms in Vietnam. But it was a fate narrowly avoided by Mara, thanks to her rescue. As one of the first bears to arrive and Animals Asia's Vietnam sanctuary, Mara knows all the best toys and where the best treats are hidden, and best of all she has never known the horror of a bear bile farm. It's a life she seems to enjoy, and that's never more evident than on a day like this, when she's got her favorite tire swing all to herself - and she can roar about how much fun she's having to anyone who'll listen. 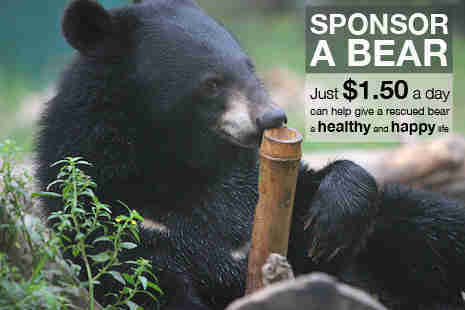 "Mara is a sweet, gentle bear who's been at our Vietnam sanctuary from the very beginning. She's extremely comfortable in the enclosure and finds time to explore every play structure. She's a very sociable bear, known as a peacemaker for her knack of helping other bears to get along, but she also likes a bit of 'me time' and that's exactly what she seems to be enjoying here." All these years later Mara is still friends with Mausi and Olly, the bears she was rescued with, but clearly she also likes to strike out on her own every now and then. And she's chosen a pretty good day for it. 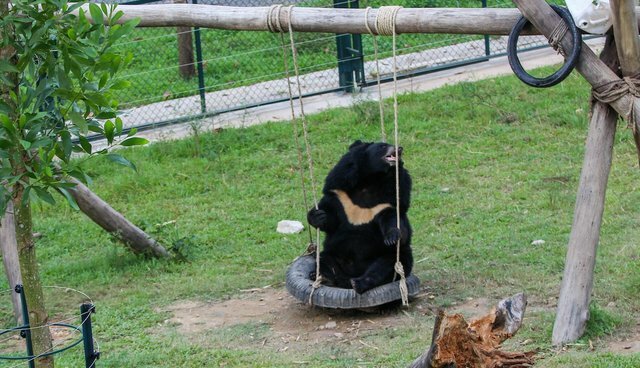 A gentle breeze, green grass and a swing all to herself adds up to the perfect #MoonBearMonday for Mara.